Figure 67. Push And Pull Puller Set. 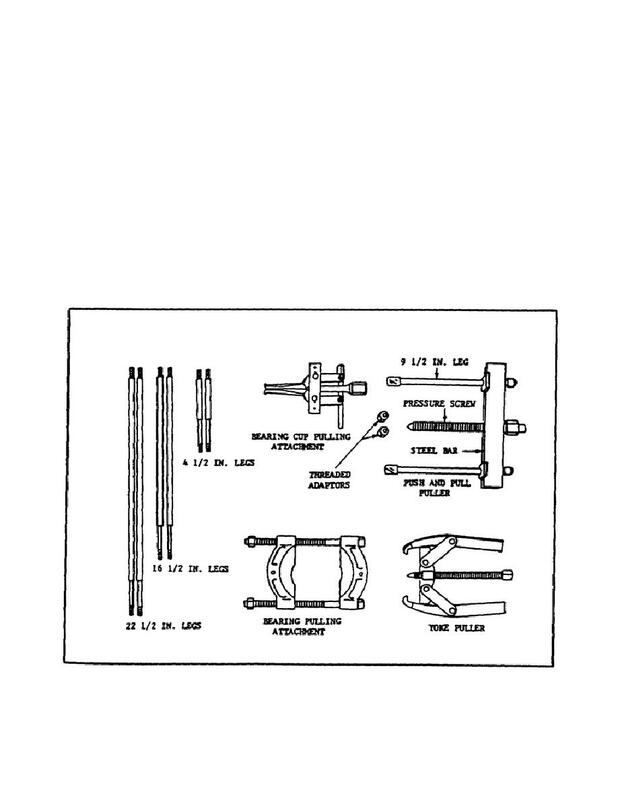 Home > Ordnance Documents and other related manuals > > Figure 67. Push And Pull Puller Set. Figure 66. Bearing, Bushing And Gear Pullers. arm, leaving both hands free for the actual pulling operation. (f) Push and Pull Puller Set. the Army Ordnance Supply System. PUSH AND PULL PULLER SET.